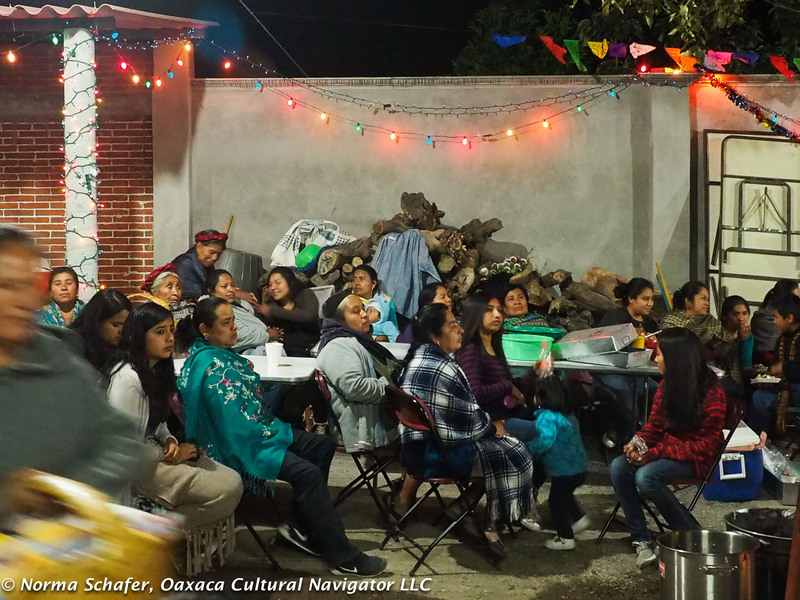 Teotitlan del Valle, Oaxaca, Mexico celebrates the winter holiday with a posada on nine nights before Christmas Day, starting on December 15. 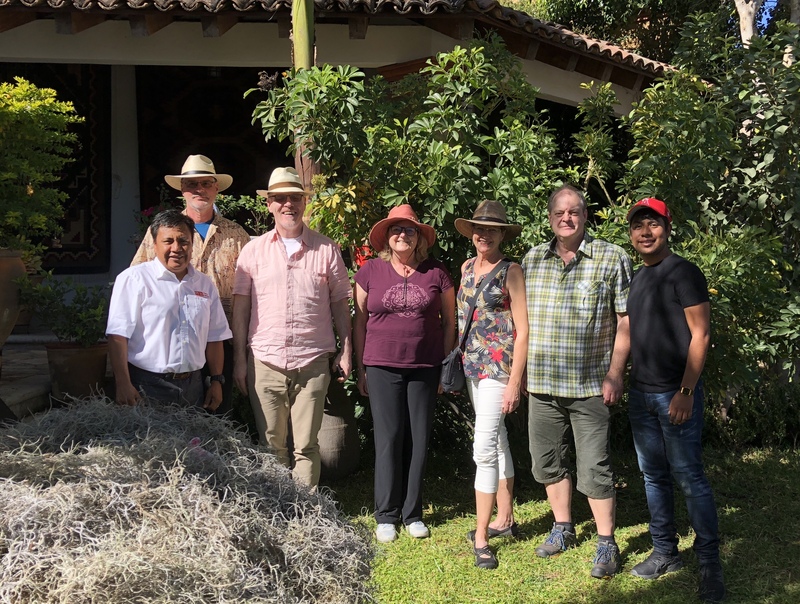 Starting yesterday afternoon and going into the night, I participated with a small group of visitors from the USA, Canada and Ireland interested in joining me to explore the history, culture and traditions of this Zapotec-Catholic practice, rooted in Spanish-European practice. 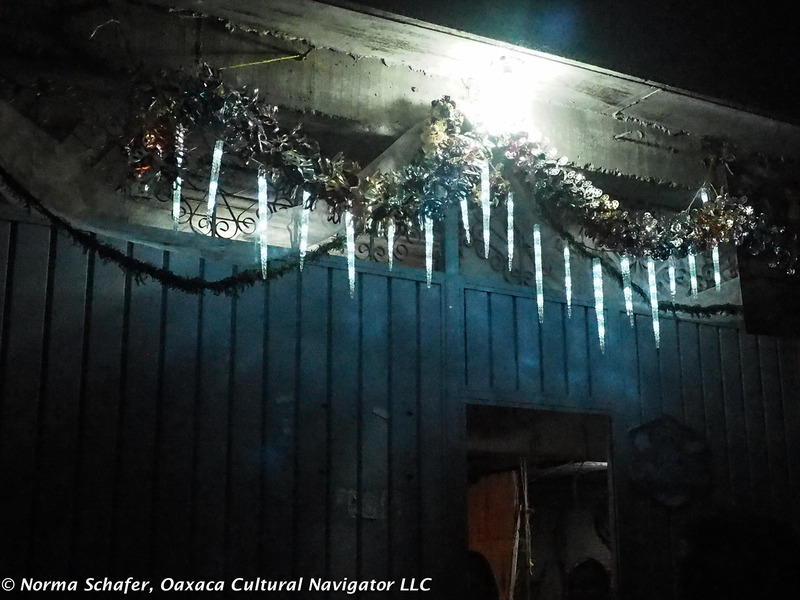 Posada means inn or we might know it better as a roadside tavern where weary travelers take rest for the night. The story of Mary and Joseph as they make their way from Nazareth to Jerusalem to pay the Roman tax is well-known. They find a stable for animals to sleep in on December 24 in Bethlehem when the inn is full. This is where Jesus is born. 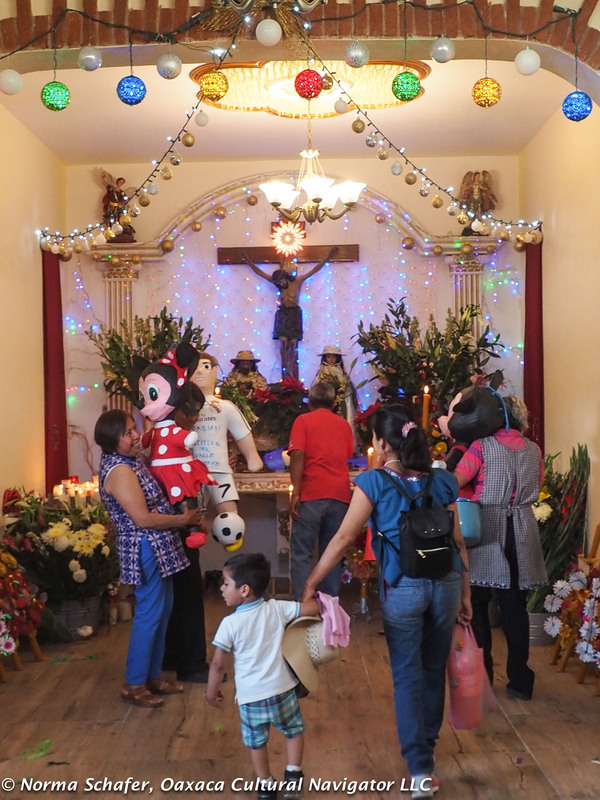 Here in Teotitlan del Valle it is a little more complex, a mix of spiritual seriousness and long-held ceremony. 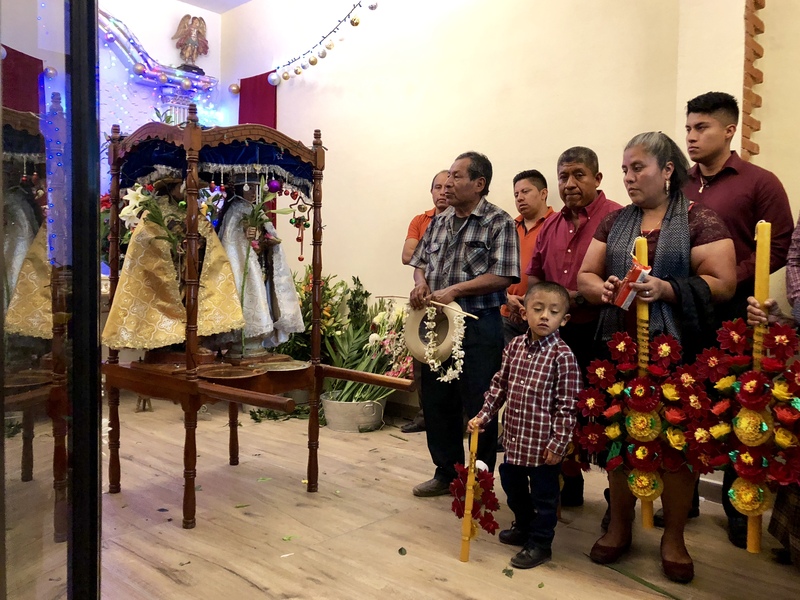 I went in advance to ask permission of two host families that sponsored the posada on December 22 — the home where Mary and Joseph were brought on the night of December 21 and the home where they would be carried to on the night of December 22. 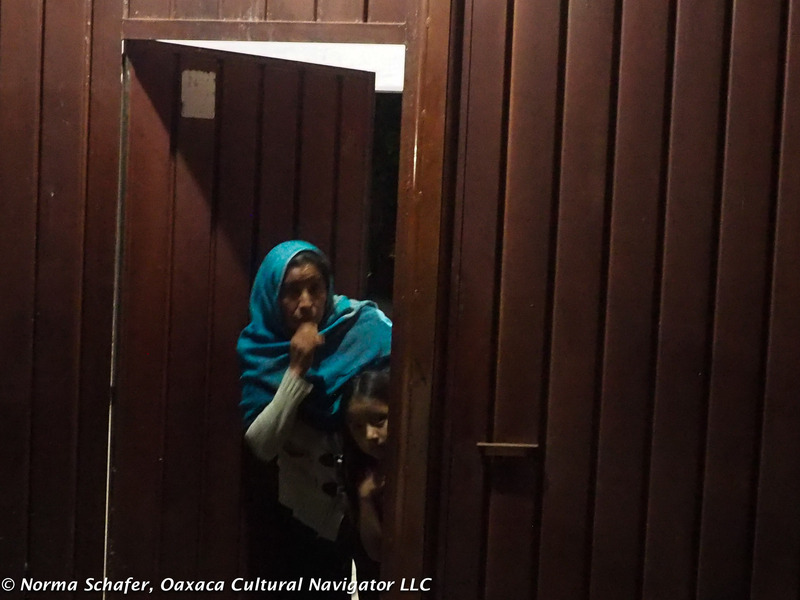 Only family members are usually invited inside the home, although all of us in the village can take part in the candlelight walk when the religious figures are carried from one house to the next. 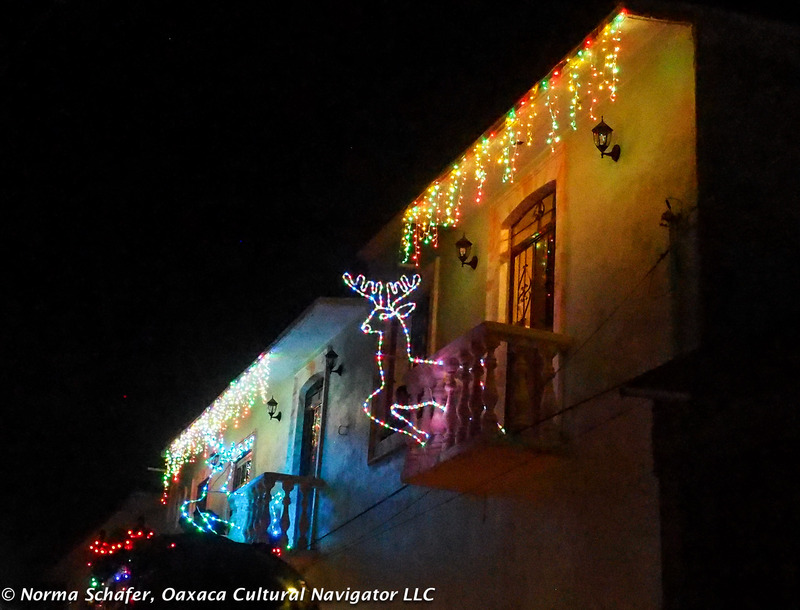 There is a posada today and the last one is tomorrow, December 24. 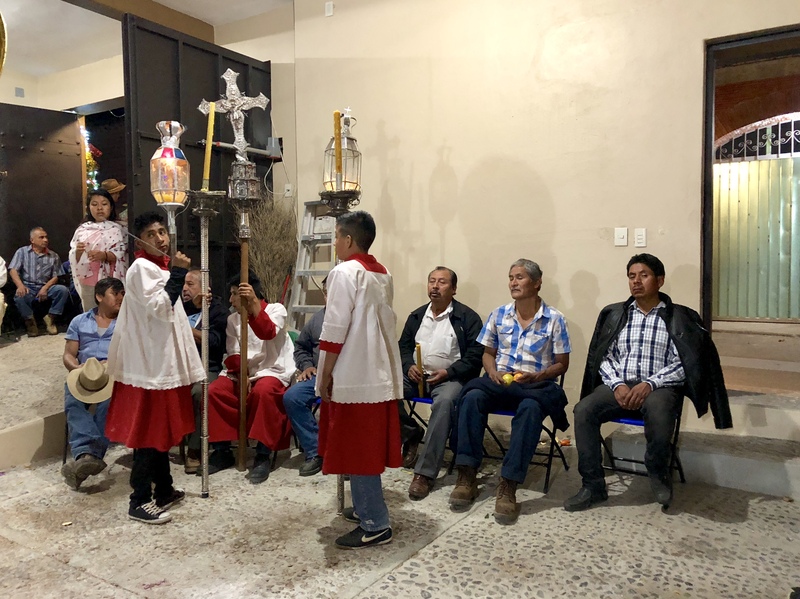 The host family for the night of December 24 will go with the Church Committee to the December 23 host and ask for blessings. A string of fragrant jasmine flowers is placed on the litter that carries Mary and Joseph to their next resting place by the head of the village religious committee. This is also symbolic of a smooth transition, expressing care and trust. There is ritual around community trust here that is essential to village survival and well-being. It is not written by codified by behavior over thousands of years. 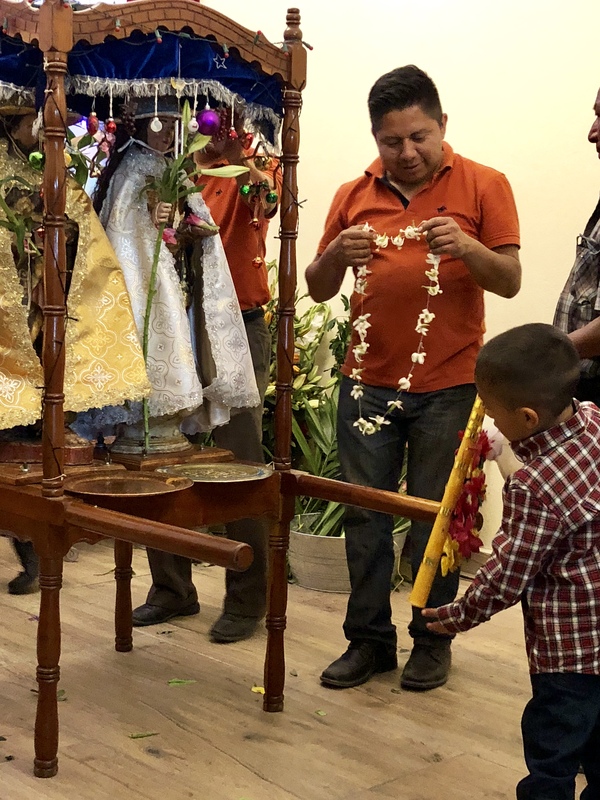 You might think the Posada is a purely Catholic tradition inherited from Spaniards, but it incorporates the Zapotec practice of Guelaguetza. 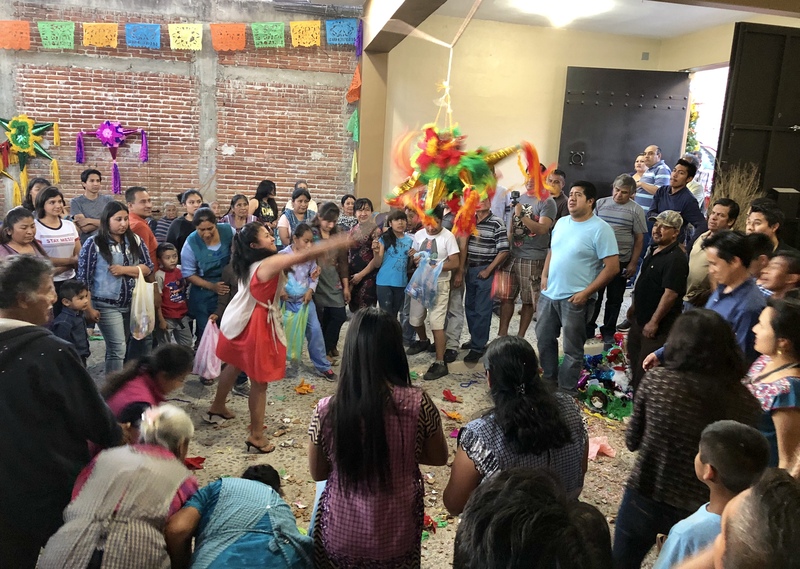 This is NOT the July folkloric dance so popular in Oaxaca. It is a way of community and family support to ensure survival and to meet needs and obligations. 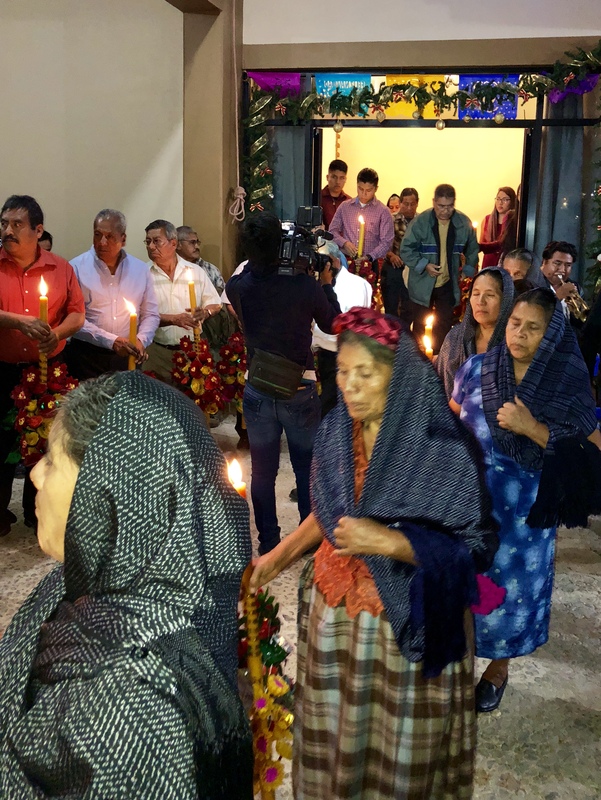 The Posada is also adapting to contemporary lifestyles and mass communications. Blinking reindeer dance from rooftops here and blue icicles drip from roof lines. Frosty the snowman has a red nose that glows. Imagines of snowflakes are projected on adobe walls. The United States of America has infiltrated traditional culture. We are seamless, we are universal, we are adapting. One Posada host family has a daughter living in Switzerland with her Swiss husband and two children. 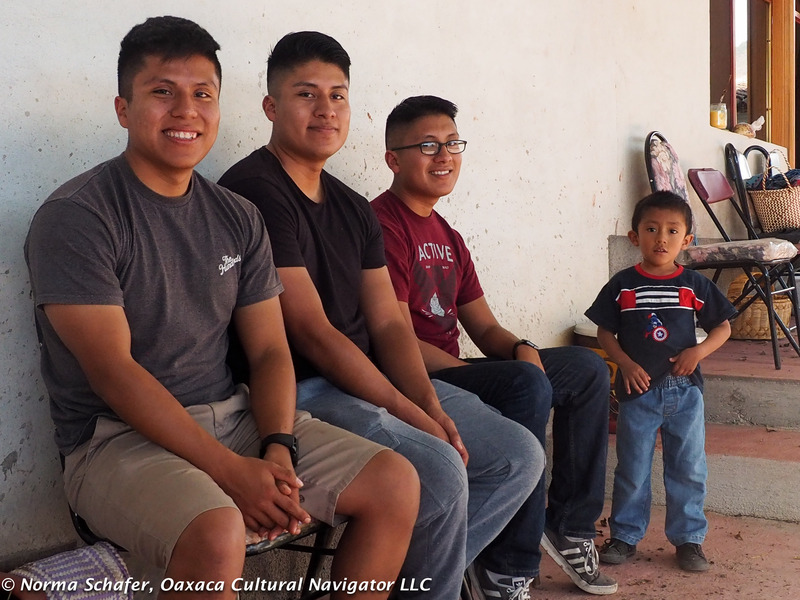 Another Posada host family lives in Moorpark, California, but maintains strong cultural ties to Teotitlan del Valle, where university educated children return regularly to visit grandparents and maintain their heritage. 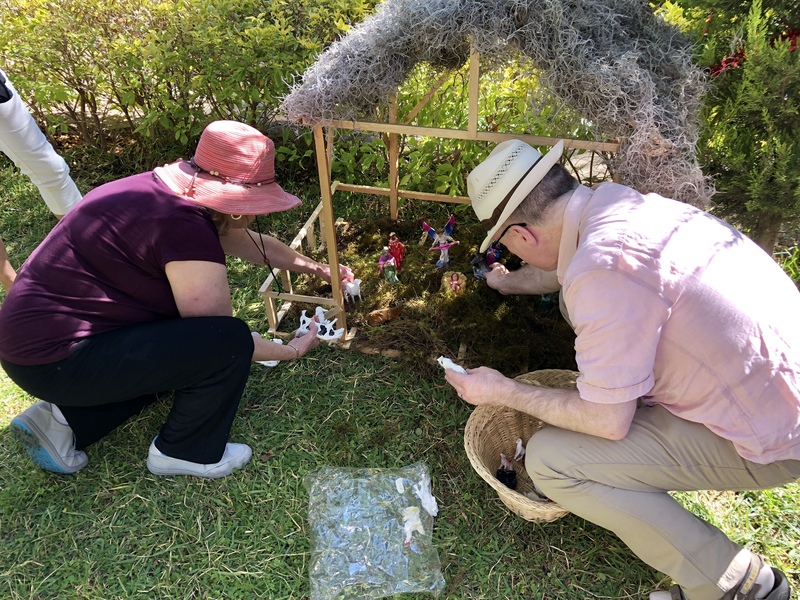 Our group talked with Pedro Montaño about how Christmas has changed in Teotitlan, comparing current practices and the more simple approach of a generation ago, when the crèche assembled with homemade wood figures, forest grasses and moss from the Sierra Juarez mountains nearby. 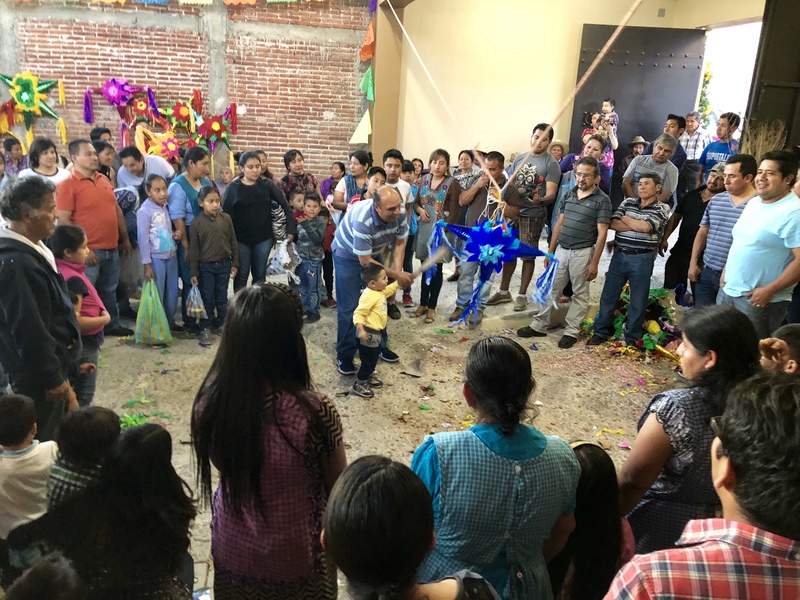 Then, piñatas were filled with fruit and candles were carried to light the path since there was no electricity. There is no judgment here. Only observation. There is plenty we can observe about traditional practices around the world and how they have changed as people have more disposable income and television teaches and creates aspirations. I always like to ask: What is authenticity? To change and adapt is part of the human experience. To expect that people keep their “authentic” practices is, IMHO, a colonial approach to saying, it’s okay for us to change but let’s keep them the way they are because it’s far more interesting for us. Happy Holidays. 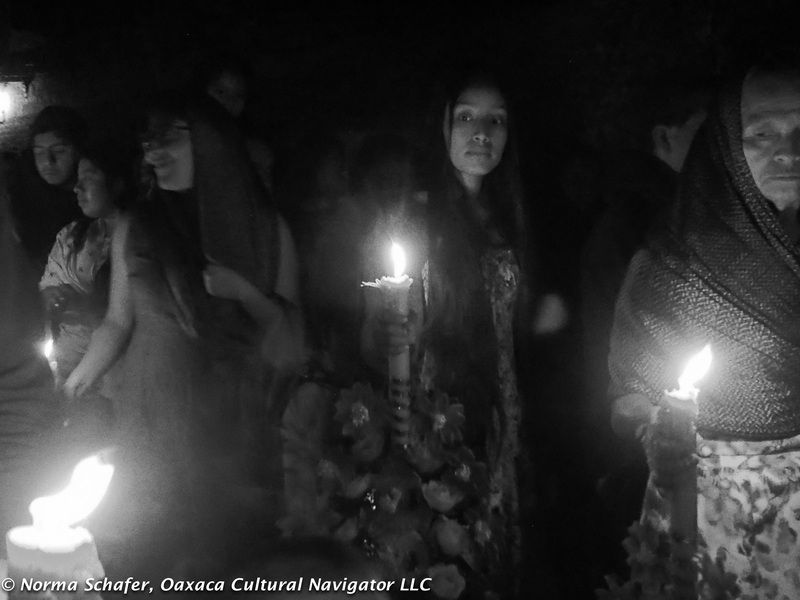 I hope you come to Teotitlan del Valle this year to experience this remarkable celebration for yourself. 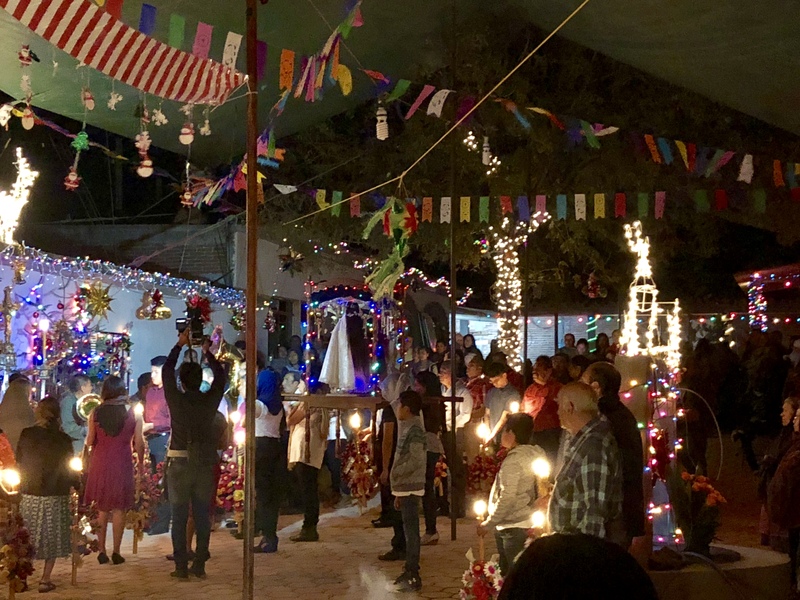 The posada tonight will start aound 6 p.m. at the corner of Pino Suarez and Zaragoza near the new chapel. The procession is serious and somber.